﻿﻿﻿﻿ ﻿By some accounts, the Valero family arrived in Jerusalem in the 18th or 19th centuries from Turkey. 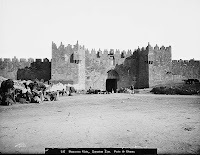 Researchers have even suggested that the family were once conversos -- secret Jews who were forced to convert to Christianity in Spain. They later traveled to Turkey and returned to their Jewish faith. In Jerusalem, the family took up residence in the Old City of Jerusalem . 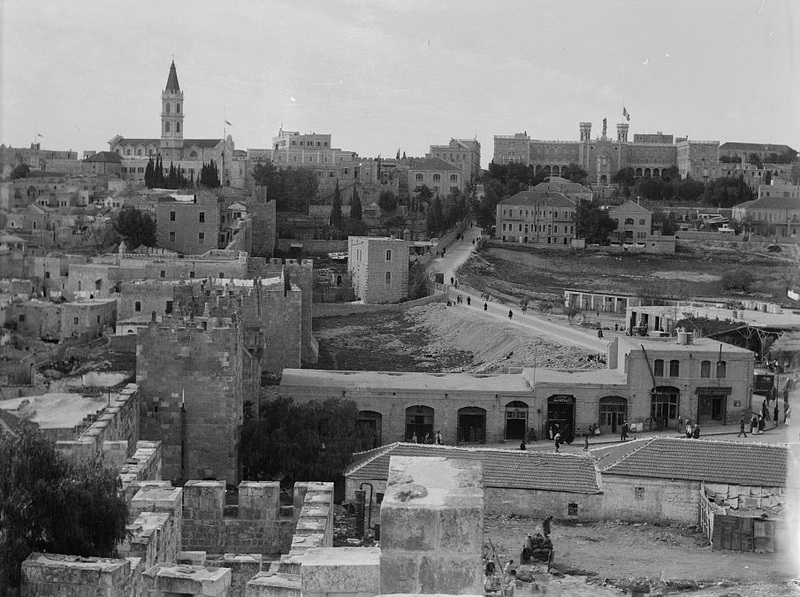 According to a monograph by Hebrew University's Prof. Ruth Kark and Joseph Glass, Ya'akov Valero arrived in Jerusalem in 1835 from Istanbul. 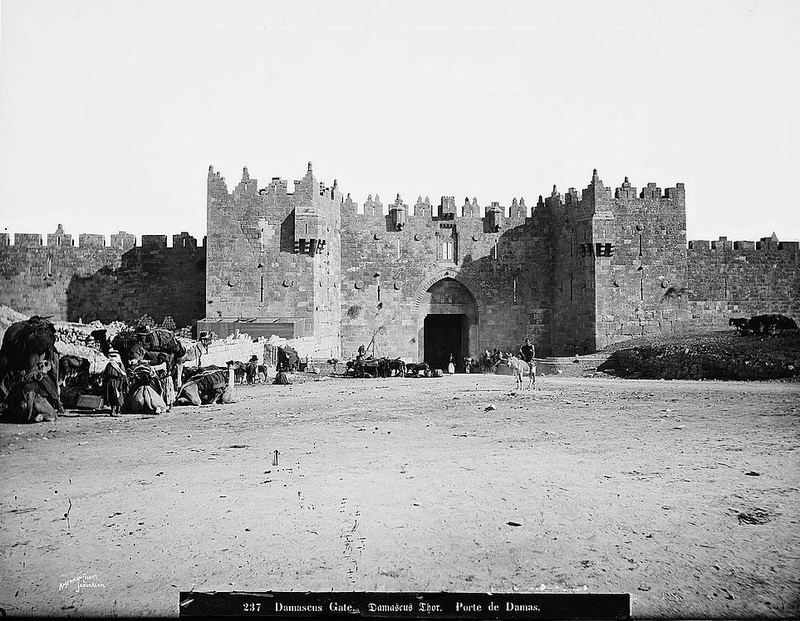 Originally a ritual slaughterer, Valero opened a private bank -- the first in Palestine -- in 1848, located inside the Jaffa Gate in the Old City. When Ya'akov died in 1874, the banking and real estate enterprise was eventually taken over by his son Chaim Aharon. 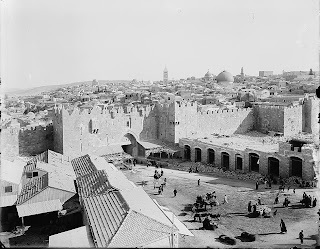 Among the Valeros' land holdings were tracts outside of the Old City on Jaffa Road, the area that eventually became the Mahane Yehuda market, the grounds of the Bikur Holim hospital, and several acres around Damascus Gate, a hub of commerce in the 18th and early 19th centuries. 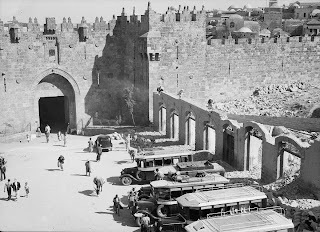 Prior to World War I Chaim Aharon built and leased stores at the entrance of Damascus Gate, seen in the pictures below. In the 1930s, the British authorities ruled that the area should be zoned for use as "open spaces" and they demolished the shops in 1937. The Valeros were not compensated. 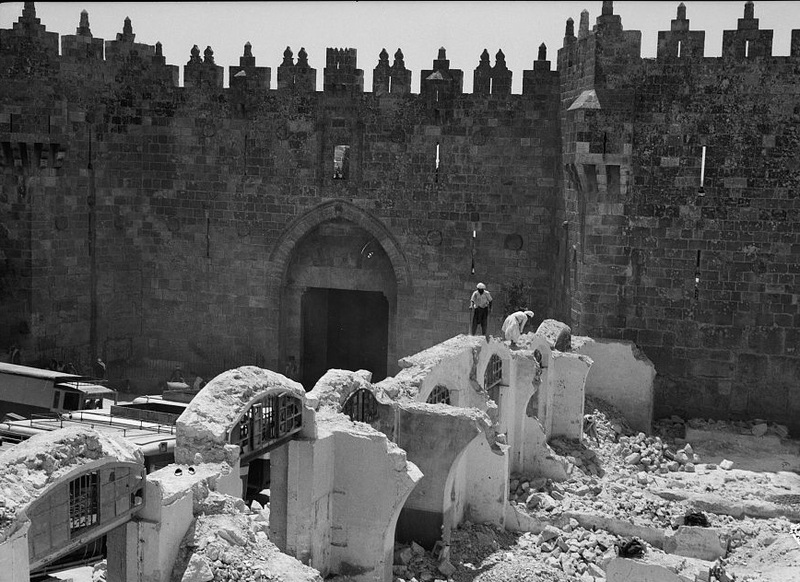 and pay attention to the sloped entranceway to the Gate which now, after archaeological excavation, is actually a ramp. Now that Israel is a nation again, were the Valero family given the land back like most of the Jewish people have been? Just seems to be the fair thing to do. I love Israel and the Jewish people and enjoy learning about the history of the Land and people. Your pictures and comments are great. I save them all. Thank you.so very much.